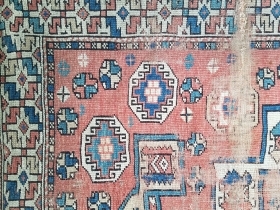 Bergama - about 65" x 65". 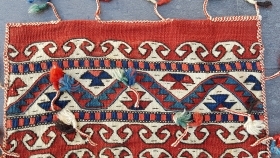 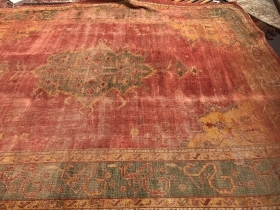 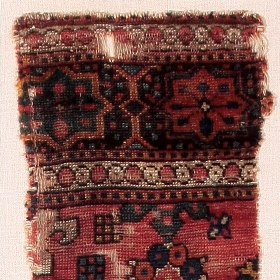 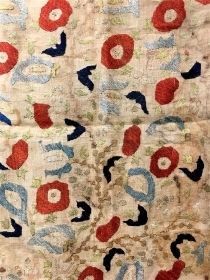 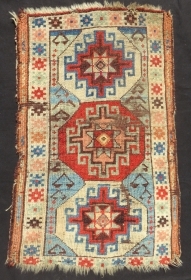 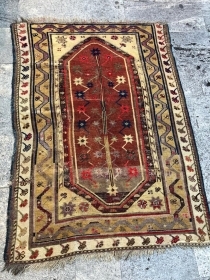 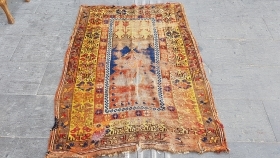 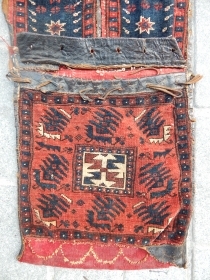 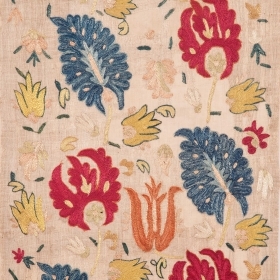 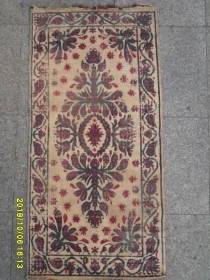 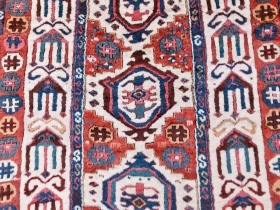 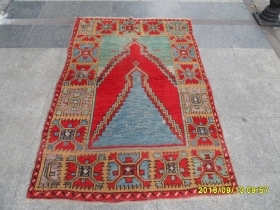 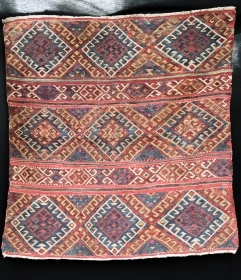 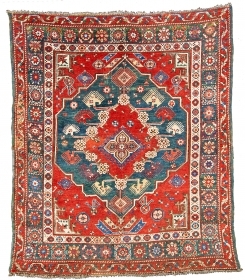 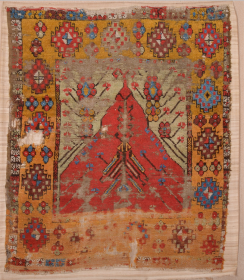 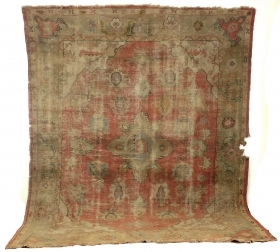 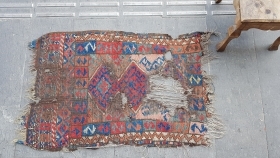 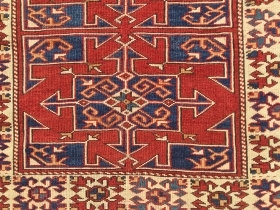 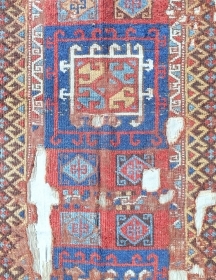 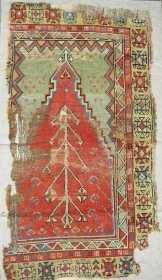 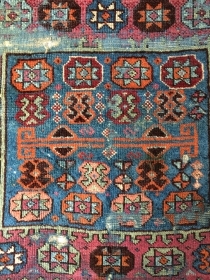 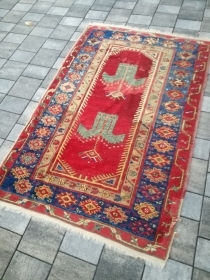 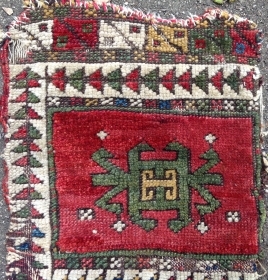 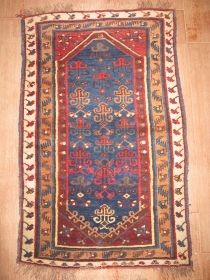 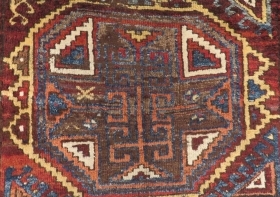 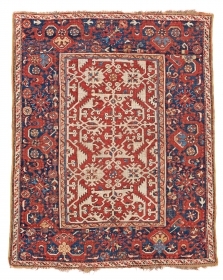 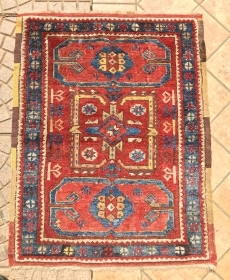 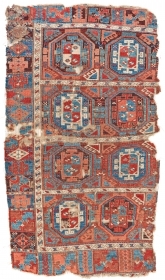 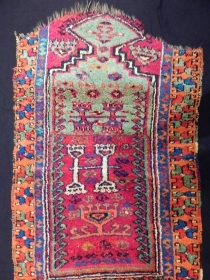 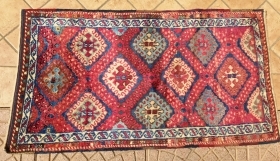 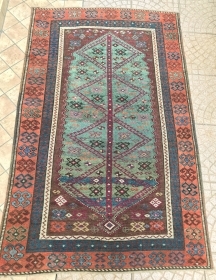 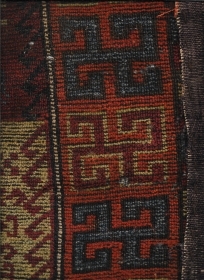 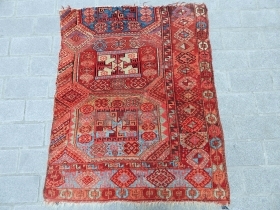 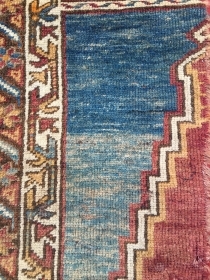 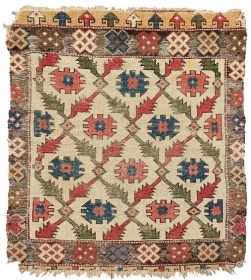 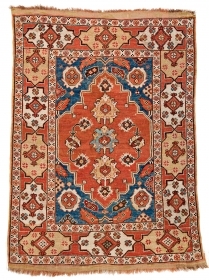 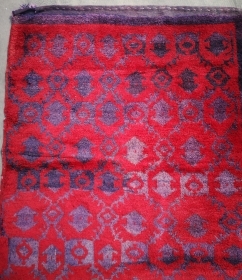 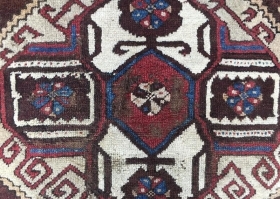 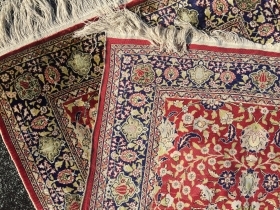 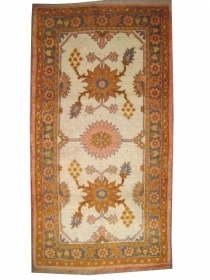 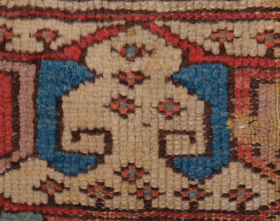 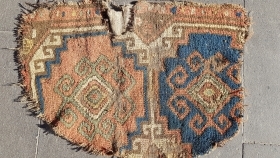 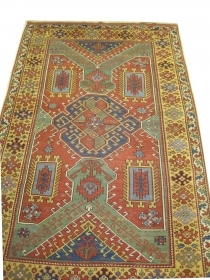 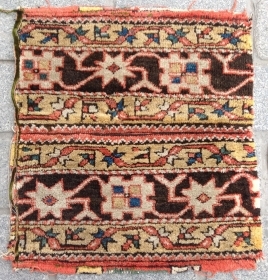 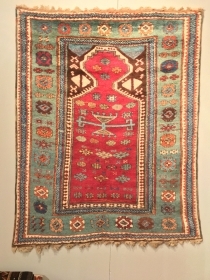 Lots of wear but still nice example of early rug. 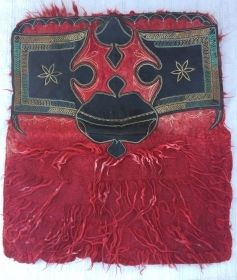 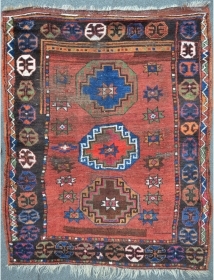 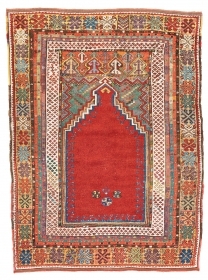 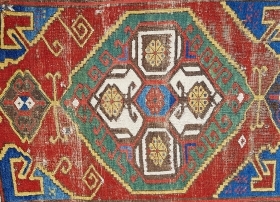 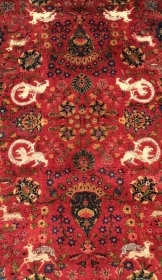 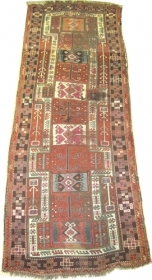 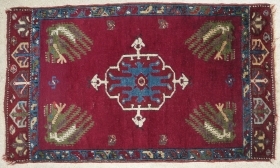 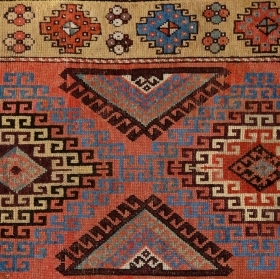 Central Anatolia Horse Cover made by Tulu felt-embroideried on leather end of 19th Century Size:105x95cm/ 3"6"x3'1"